Restorative rest does not happen when we do nothing. It comes when we do something significant. Broom Tree allows pastors to recalibrate and heal on multiple levels. Our retreats have no schedule, only an agenda that supports rest, reflection and experiences with beauty. Each guest has permission to sleep and reflect, finding real restoration. 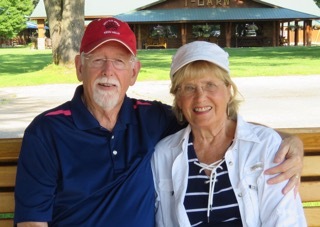 Many couples have referred to our retreats as the best week of their marriage. They remember why they fell in love. Pastors also remember why they were called to ministry. Reflecting on these “starting points” in our lives allows us to gain clarity about the future. 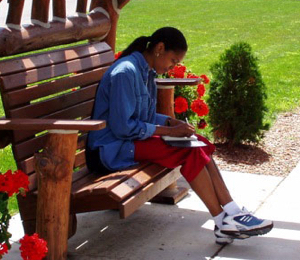 Prayer, scripture reading and solitude are essential to fruitful reflection. Rest and reflection are made complete with beauty. 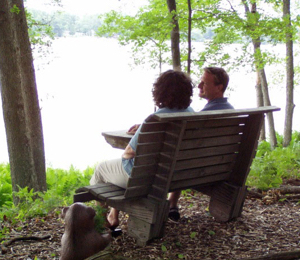 Broom Tree retreats provide optional experiences with hiking, lakes, paddle boats, canoes, swimming and bike trails. Guests have access to scripture, music, art, literature and movies. 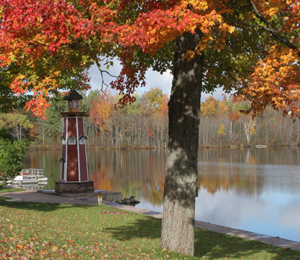 The retreat center properties are in beautiful natural settings. We provide an opportunity to stop the hurriedness of life and actually see the beauty of God’s creation. How do pastors benefit from Broom Tree Retreats? Elijah’s “aha” moment came when he realized he wasn’t alone. Many pastors have the same realization at Broom Tree, but each person has a unique experience. Unique moments of insight and discovery are a highlight and goal of the retreat. Mental and spiritual clarity enable pastors to see things they couldn’t see before. This new visibility nourishes relationships, strategic thinking, and personal reflection, making it possible for pastors to confidently take the most beneficial next steps. Elijah’s broom tree experience stirred deeper questions about his purpose for the next season of his life. Our retreats are designed to stir pastors in the same way. Meaningful rest requires meaningful and intentional reflection. This is also where pastors hear restorative challenges and conviction from the Holy Spirit. In 1997 Dwayne didn’t realize the significance and scope of what God had called him to do. But it was a clear call from God to develop a pastors retreat center. He and Rita ran that retreat center in Wisconsin for over 4 1/2 years. With God’s leading during this time they developed the self-directed, ‘non program’ that is being used today. Broom Tree Ministries, began in 2002 continuing to offer free retreats to pastor couples in various locations so that the leaders of the Church of Jesus Christ may be strengthened. What Elijah experienced is also true of what many pastors experience today when the adrenalin rush of preaching the Word, intense ministry and revival is followed by depression on Monday. Sustaining a pattern of elation followed by depression is a formula for disaster. Current studies indicate that only one in ten pastors will retire as a pastor. Pastors are called by God to lead people out of the morass and ever decreasing moral integrity of society and into the presence of Jesus. Highly educated, but being the lowest paid of professionals, limits their ability to afford the Sabbath rest they need. Congregants expect the pastor to be proficient in 16 major disciplines, which is also a recipe for disaster. The call to shepherd a congregation is a driving force in the pastor’s nature and therefore they will often sacrifice their own personal time with God and their family to meet the needs of the people. Broom Tree is here to redirect the pastor through intentional Sabbath rest where Jesus can and does challenge them to be a man or woman of God as well as a man or woman for God. For your convenience, we’ve drafted a letter that you may want to print and give to your Church Governing Board.